I cook every single day, for the most part, and sometimes I try to find tips and tricks to make life in the kitchen a bit easier. 1. 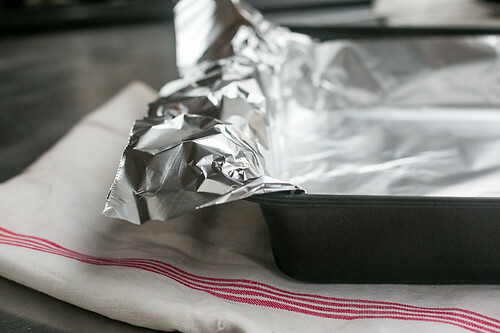 Line inside of your baking tray with a tin foil to clean up easy when done baking. 2. 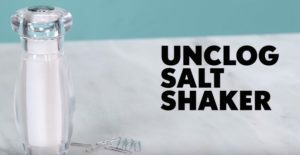 Use a paper clip to unclog your salt shaker. 3. We tend to have extra drawer spaces in our cabinet. 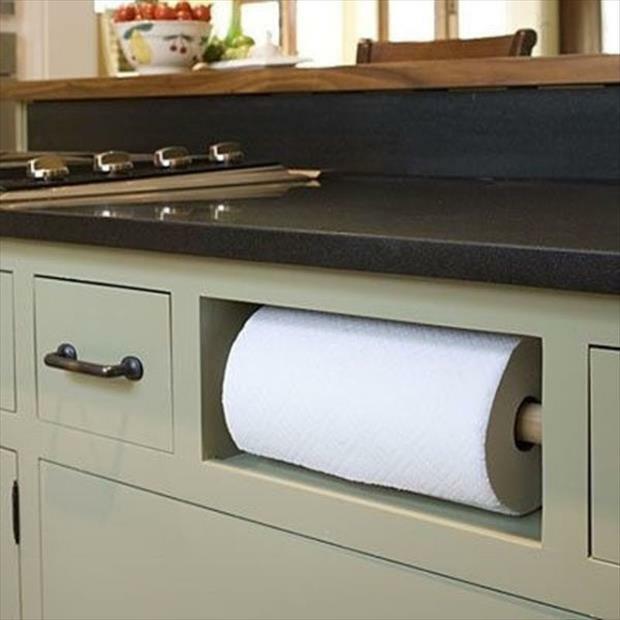 To utilise these spaces, we can install a paper towel rack to make things much easier. 5. Use a paper plate to prevent splatters when using an electric whisk. 6. Place a wooden spoon on top of your boiling pot and the water won’t boil over. 7. Fill the burnt pan with water and add 1 cup vinegar. Let it warmup on the stove for a few minutes and then add 2 tbsp of baking soda. When done, scrub the pan with SOS and Voila! 8. Make an Instant Freeze Shelves by placing a magazine holder (for 3.89 from amazon) inside your freezer. Instantly you’ve gain selves space. 9. Space between your refrigerator? 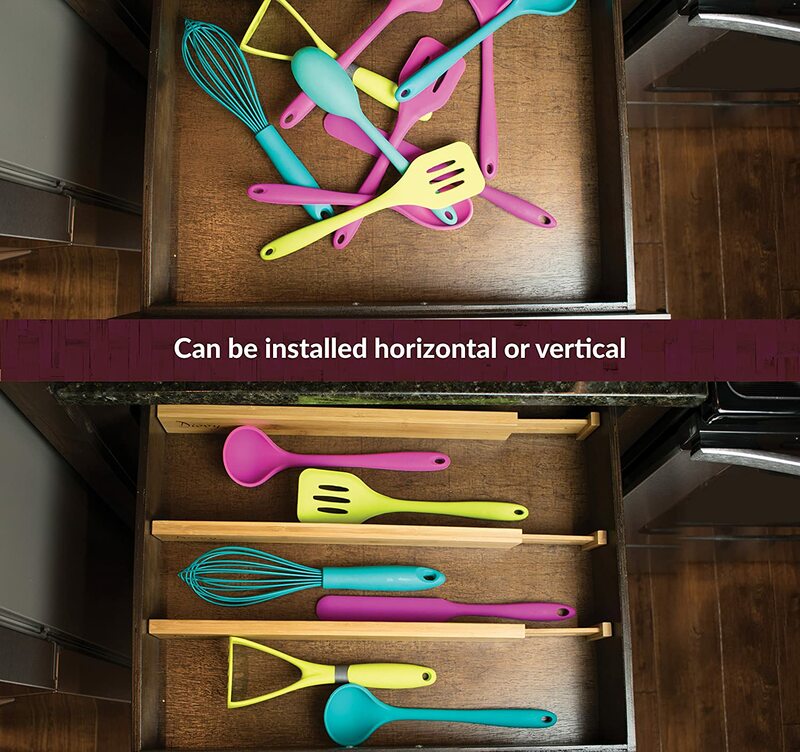 Well, you can install a roll out pantry to store vertical grocery items. Instructables has an easy DIY tutorial. 11. 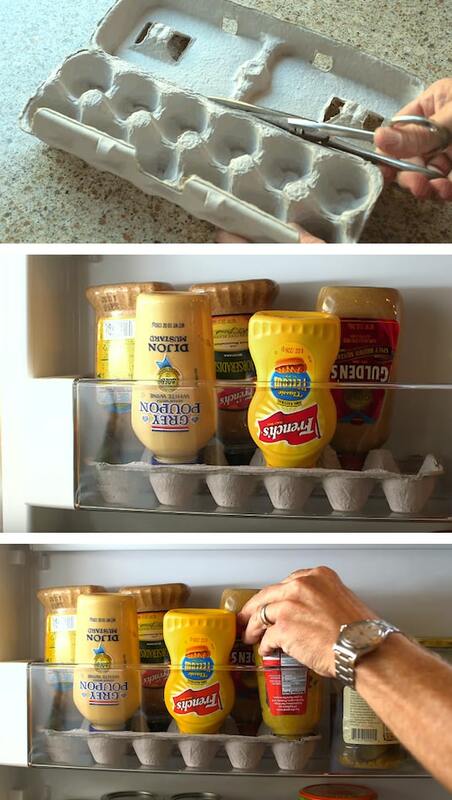 Use an egg tray to store condiments for easy pouring and to avoid waste. 12. 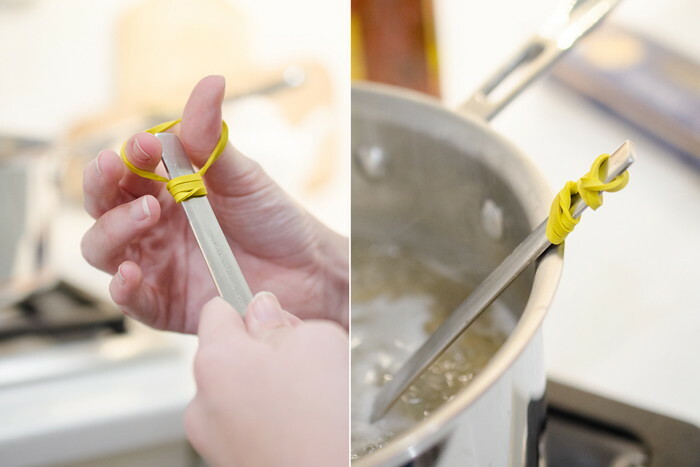 Attach a rubber band to your mixing spoon to avoid spoon from falling into the pot. 13. On the go? 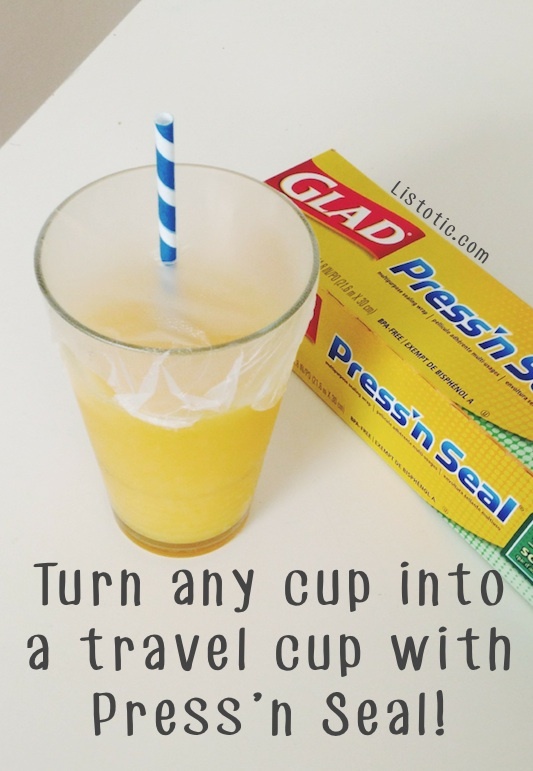 Grab a plastic wrap and wrap around your cup tight to avoid spilling. 14. Organise your drawer with this efficient space and organising tip. Can be purchase from amazon. 15. 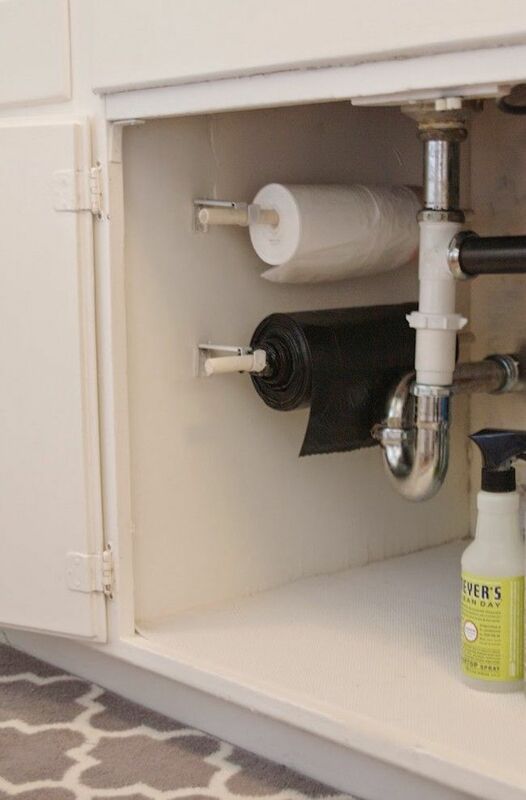 Kitchen Trash Can Waste Container Storage Box. Aren’t these some really excellent ideas? I think these will work perfectly in any kitchen. 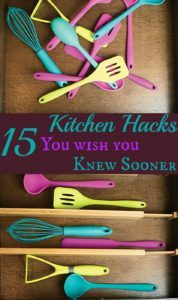 Let me know what are some of your kitchen hacks that you use in your kitchen.